to the next level with cobalt-free high end process inks. Printers today are being challenged to answer the demand for environmental responsibility, from eliminating chemicals, to printing on recycled papers, to reducing consumption. 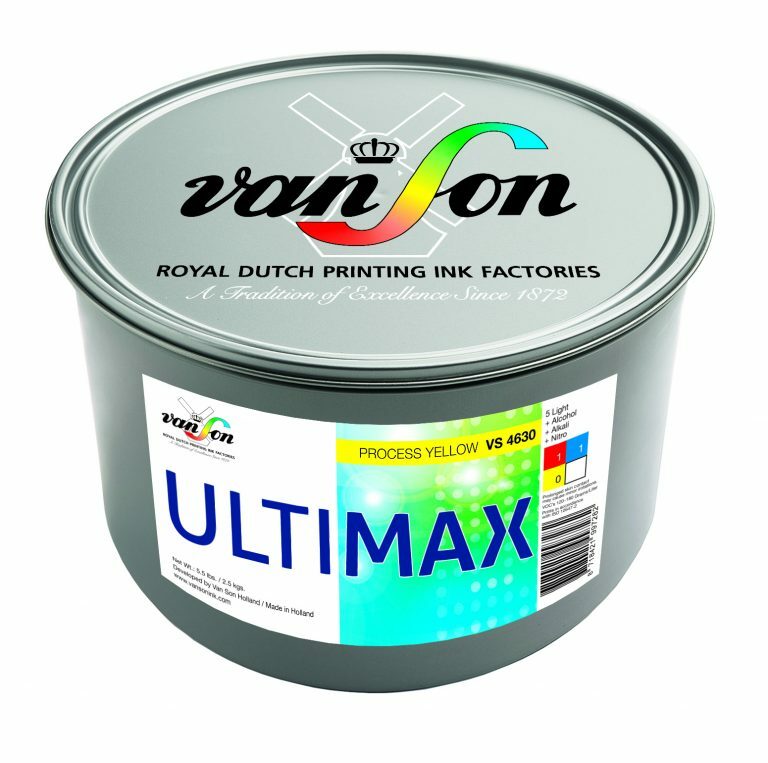 When it comes to ink, Van Son can take your green initiatives to the next level with ULTIMAX, a cobalt-free formulated high end process ink series intended for the commercial, packaging and label printers. ULTIMAX is a versatile and user friendly offset ink in a duct fresh formulation. The excellent stability and press performance such as intense colours, fast setting and drying ensures a rapid work flow and efficiency in the print shop with minimum delay. The ULTIMAX process series is manufactured in accordance with ISO 2846-1 and will therefore print in accordance with ISO 12647-2. 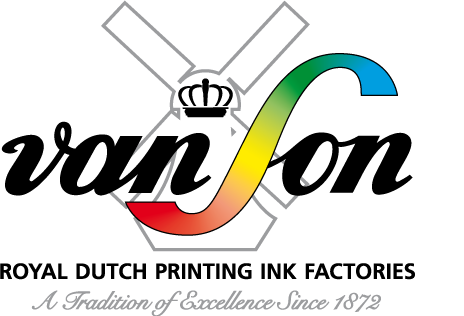 ULTIMAX is compatible with all conventional sheet fed offset presses, straight as well as perfecting (4+4) in one pass and is suitable for high speed printing without misting. ULTIMAX is suitable for a wide range of finishing applications and provides the flexibility required to print on a wide variety of substrates, including gloss coated, silk/matt as well as uncoated and/or recycled papers and boards. ULTIMAX is not suitable for food packaging without a functional barrier. ULTIMAX process series: the eco-friendly choice that will support sustainability in your printing operations.